The journal Renewable Energy, has recently posted our latest paper on pellet production. The paper identifies the location of most of the major pellet producer plants in Europe, and makes a geo-statistical analysis of them. This method helps us to identify those production clusters as well as those areas where the production is more concerntrated and dominated by few producers, and also the extend and main characteristics of the European pellet markets. MOLA-YUDEGO B, SELKIMÄKI M, GONZALEZ-OLABARRIA J R. 2013. 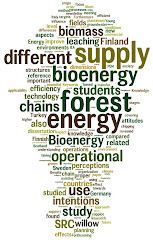 Spatial analysis of the wood pellet production for energy in Europe. Renewable Energy. Doi: 10.1016/j.renene.2013.08.034. 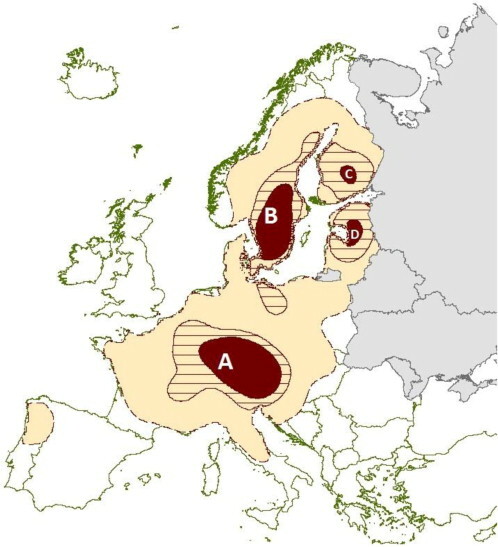 The distribution of the wood pellet plants in Europe was analysed using a geo-statistical kernel based approach, in order to identify and define cluster-regions with high concentration of pellet production capacity. For that, a database with the location of pellet plants, as well as its capacity, was constructed, identifying 378 pellet plants with annual capacities over 1000 t, and an aggregated production of 11.5 million t. The geo-statistical methods facilitated the analysis of the plants with regards to their market position at global and local level. At a European level, four main production areas were identified, defined as: “Central Europe” (Bavaria, Austria, and neighbouring areas of France, Switzerland and Italy), “Scandinavia”, “Finland”, and the “Baltic”. These areas concentrated over 50% of the pellet production, although presented different characteristics regarding market establishment and development, their role in the global pellet trade and their raw material availability. The paper provides with methodological tools to identify and characterise the main pellet production areas in Europe that can have further economic and policy applications.